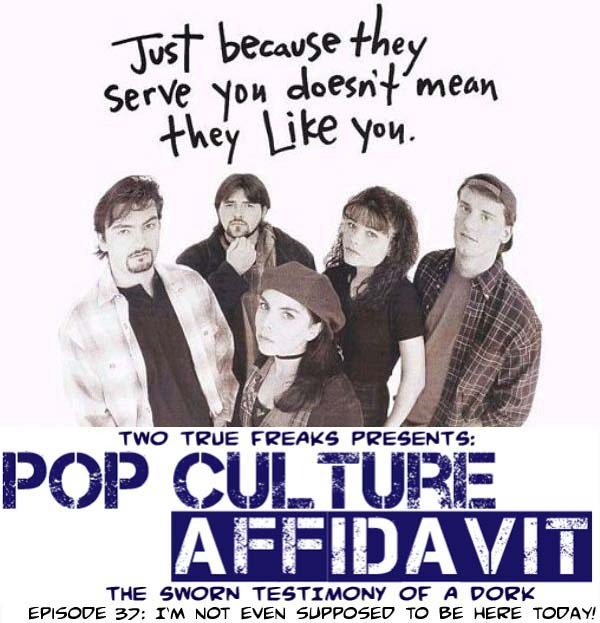 Pop Culture Affidavit, Episode 37: I’m Not Even Supposed to Be Here Today! With episode 37, I return to 1994: The Most Important Year of the Nineties with the only thing that I could possibly cover for episode 37: CLERKS! And to join me for this discussion of Kevin Smith’s classic debut is Trentus Magnus, the award-winning host of Trentus Magnus Punches Reality. We guarantee that it is so awesome, it will break you.